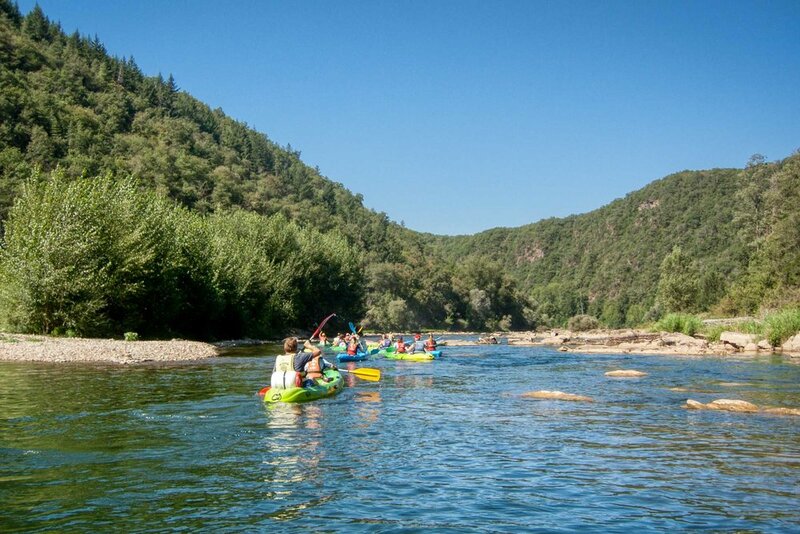 Being situated on the border of the Tarn and the Aveyron departments we are fortunate to have easy access to all the key tourist attractions in both areas. 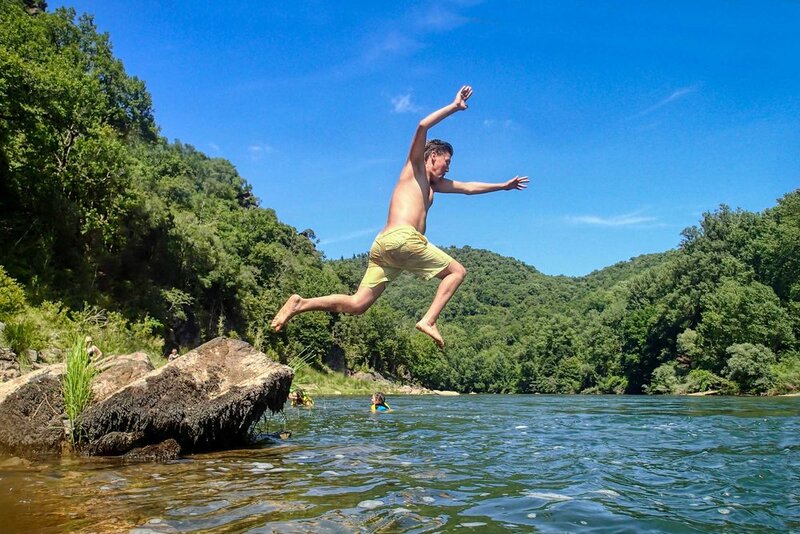 There is plenty to see and do, for all ages and interests, but here are just a few we thought were worth highlighting. 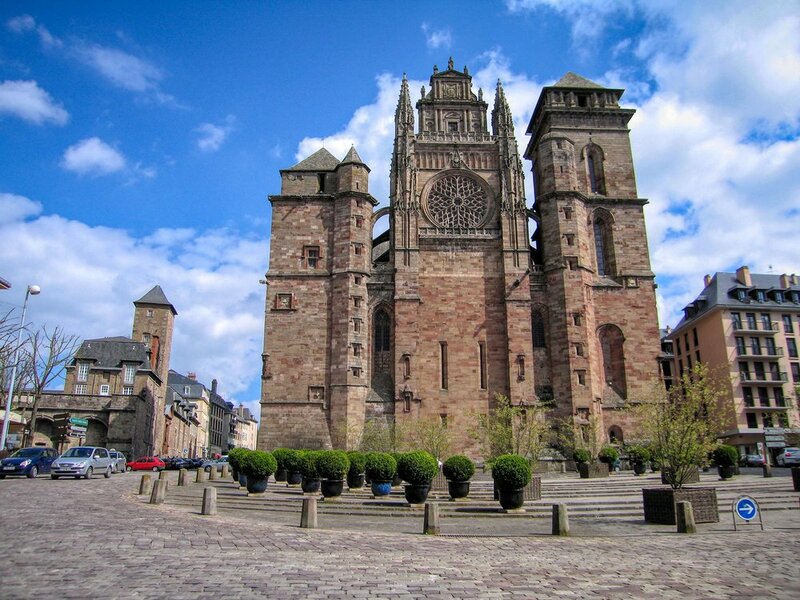 Rodez is the departmental capital of the Aveyron and is well worth a visit. Perched high on the landscape it has a majestic cathedral and bishops quarters set in what was originally the stone city wall. It is quite the ‘provincial’ town and has some interesting sites to visit such as the museum which houses the ancient menhir stones. It is particularly good for shopping with lots of classy boutiques and little backstreets to explore. There are too many restaurants to mention, but they cover all tastes and budgets. Markets are held on Wednesday, Friday and Saturday mornings. Albi is the departmental capital of the Tarn and a superb place to visit. It’s historical core is steeped in character and a delight to wander around. You can amuse yourself for hours just ambling through the back streets soaking in the history, or sitting at a bar in the central square while the children run in and out of the dancing fountain. The tourist office is a mine of information and has some excellent guided walks to follow, so you can get the most out of this beautiful settlement. The dominating cathedral may look somewhat dour from the outside but walk through the doors and your eyes are dazzled by the colourful paintings that stretch from the floor up to, and including, the ceiling. Take time out to catch one of the many choral works here and it will truly be a treat to remember. You are spoilt for choice regarding restaurants and cafés and you will find something that caters for most tastes and pockets. Many events are held here throughout the season and it is often used as a stage in the Tour de France. For those who enjoy their cultural pursuits the Toulouse Lautrec Museum is well worth a visit. Markets are on Tuesday and Saturday mornings. 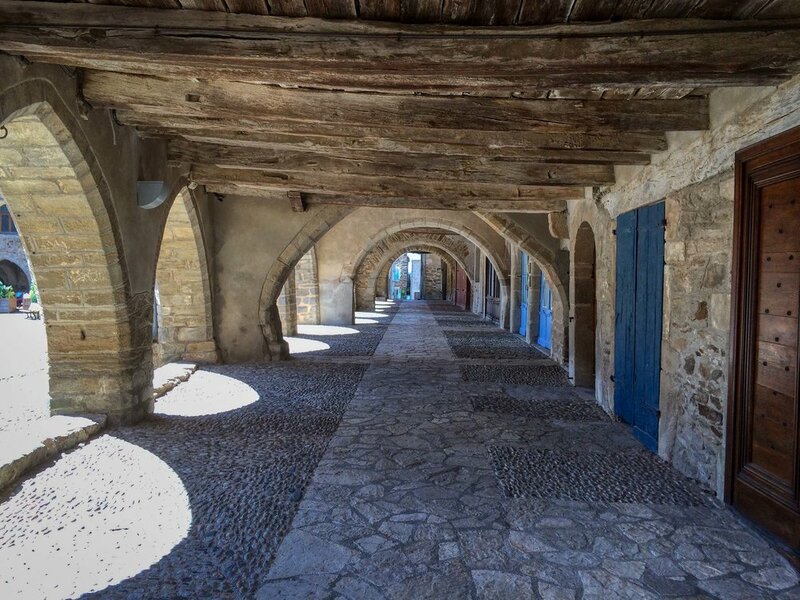 Cordes-sur-Ciel is an absolute must to visit. This ancient citadel provides a great day out for the whole family. The best way to visit is to park in the new sector at the bottom of the citadel and jump on the little electric train which takes you up to the very top. From there you wander through the tiny cobbled streets, where dozens of artists and artisans have small, bijou shops selling their unique goods. There is also a local history museum and a sugar museum. If shopping is a must make sure you arrive in time for a good lunch and shop in the afternoon, as many of the little shops do not open in the mornings. When you’ve explored enough you can either catch the train back down or wander back through the steeply descending streets. Make sure you have good solid shoes for this trip (no high heels) and be careful if you want to splash out as quite a few of the smaller shops don’t take credit cards - there is an ATM available on the main street below. 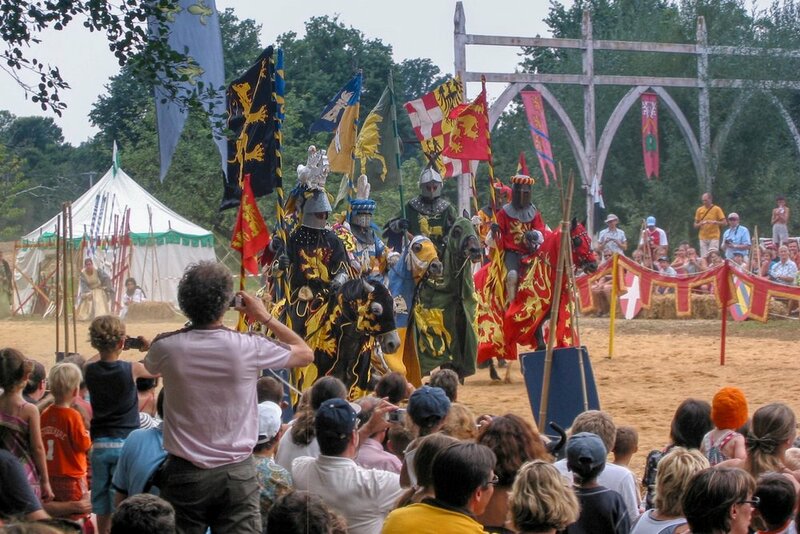 If you are around in July, then try to catch the medieval festival which runs for 3 days. The local market is held on Saturday mornings. 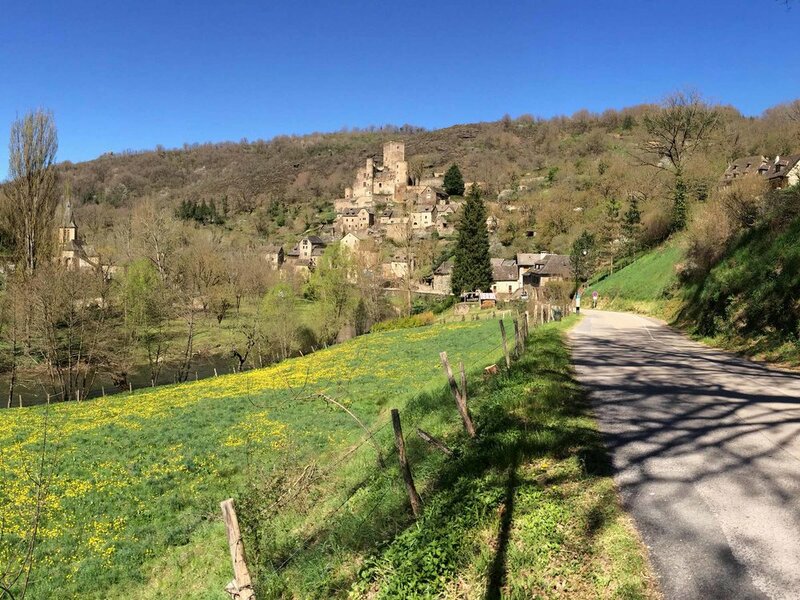 If you like your wine then it may be a good idea to conclude your day trip by heading off into the Gaillac wine region just to the south of Cordes. 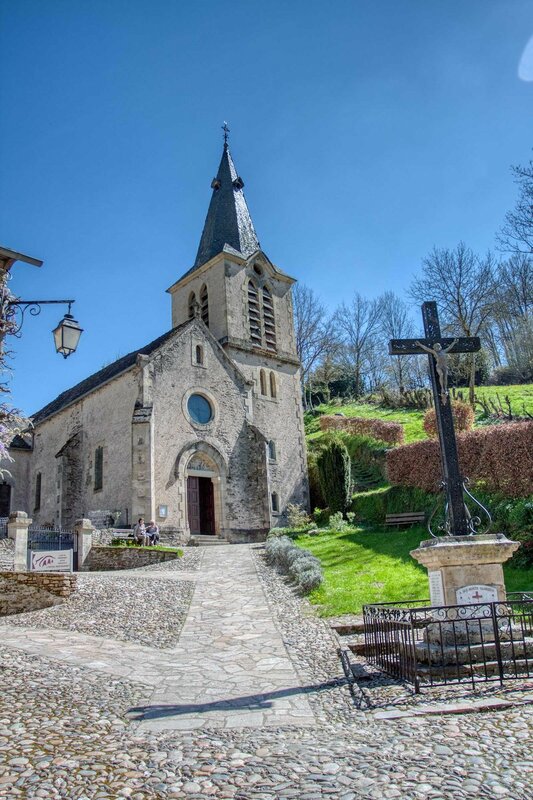 This is one of France's oldest wine growing areas and there are dozens of wine tasting vineyards to visit, some of which will arrange meals as well as tasting sessions. They also happen to be located in and around some of the prettiest villages in the country. Sauveterre-de-Rouergue is our local bastide town. This is a beautiful little town and has the classic central square with covered arches. There are various seasonal events throughout the year, from fêtes and concerts to markets selling local produce. The Festival of Lights every summer is one not to be missed, as is the Autumn Chestnut Fair and the Medieval Fête. 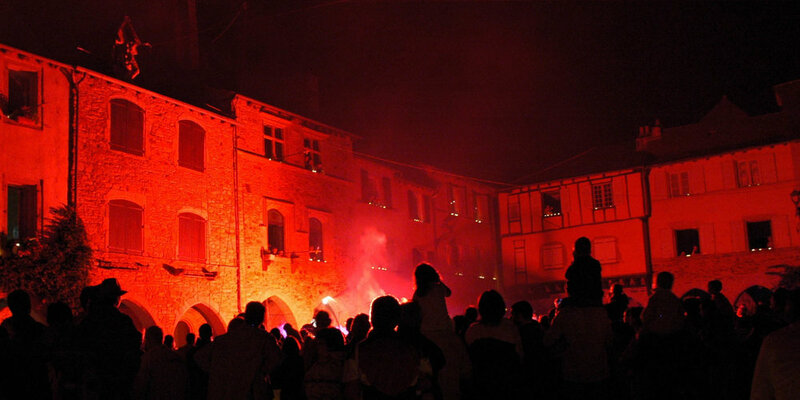 In July and August there are nocturnal markets every Friday Night where you can select a meal and some wine from the local stalls and then join the locals to eat your supper, while being entertained by dancers or singers in the square. Villefranche-de-Rouergue is a larger bastide with one of the best markets in the area, held every Thursday morning. Certainly well worth a trip if you enjoy French markets, this is an excellent example of how a quintessential provincial town used to be. 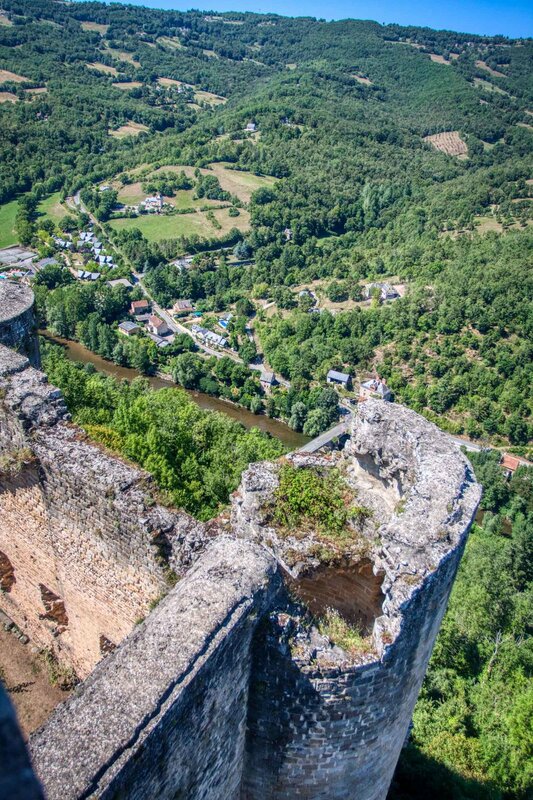 Belcastel is a pretty little village which has an excellent little chateaux to explore. Great for smaller children as it has been totally renovated and they can safely run around playing prince and princesses. The Millau Viaduct really is a must for architectural fans and is a good day out for all the family especially when combined with other attractions in the area. On the way you will almost certainly pass Micropolis - think of it as a zoo for insects and the kids will love it - but not for faint-hearted who don’t like creepy-crawlies! Millau itself is also well worth a visit and offers a good opportunity for shopping. There are also some excellent places to eat out when you get into the older back streets. 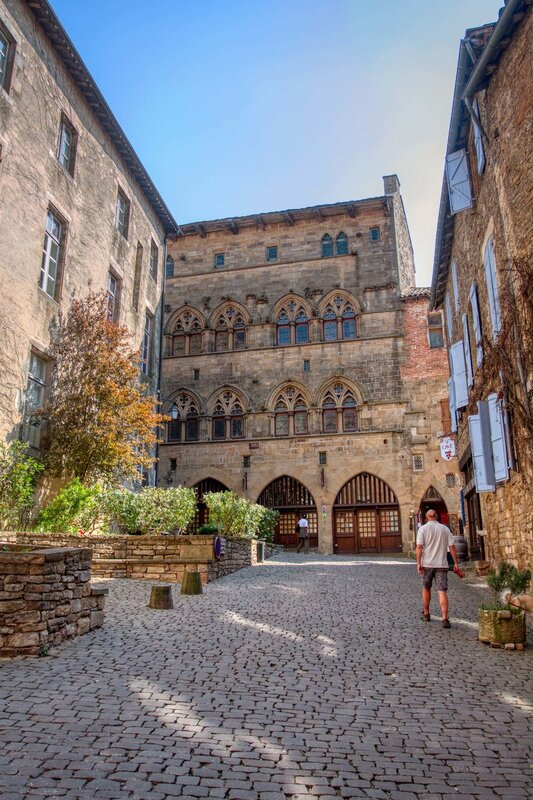 Travel a little beyond (and high above) Millau and you will discover Montpellier le Vieux. For the more adventurous, here you can stroll along several circular routes through impressive limestone tors of all shapes and sizes. It is within the ability of most, but not suitable for small children, buggies or people with walking difficulties. 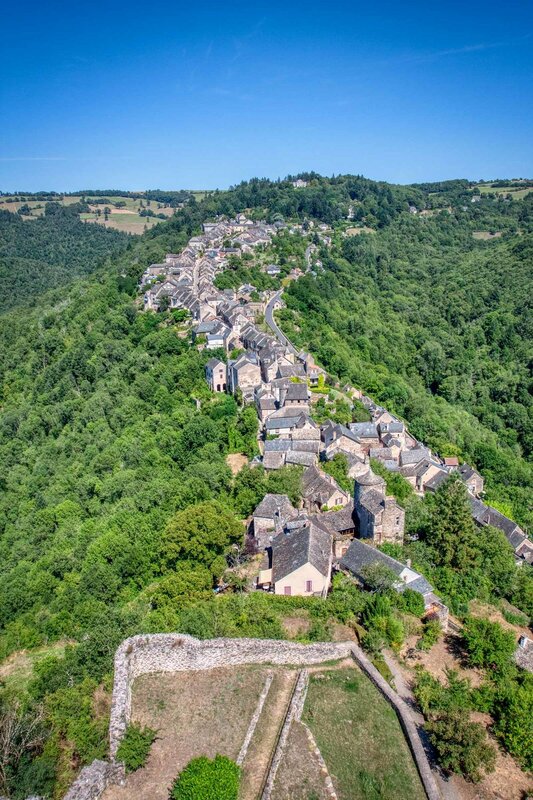 Najac is another interesting village worth a visit. 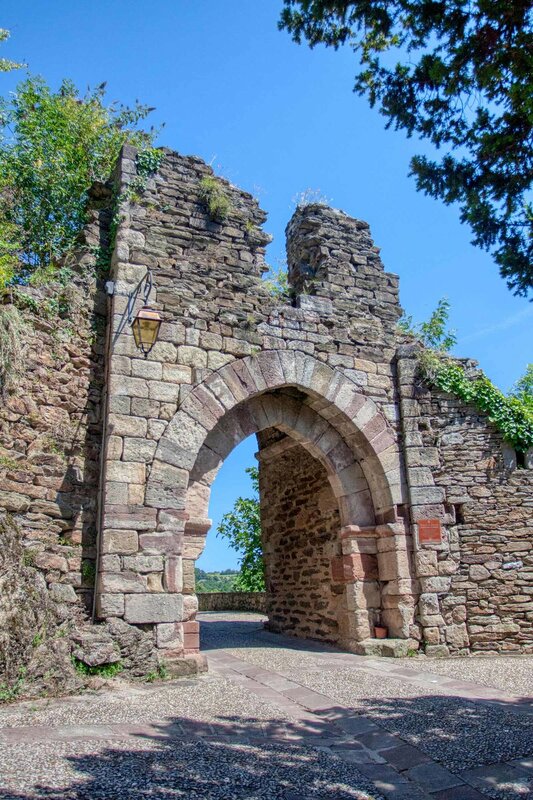 It’s current form dating back to the 13th century, with the main street built along a rocky ridge and the château royal built soon after. The Knights Templar were once imprisoned here. 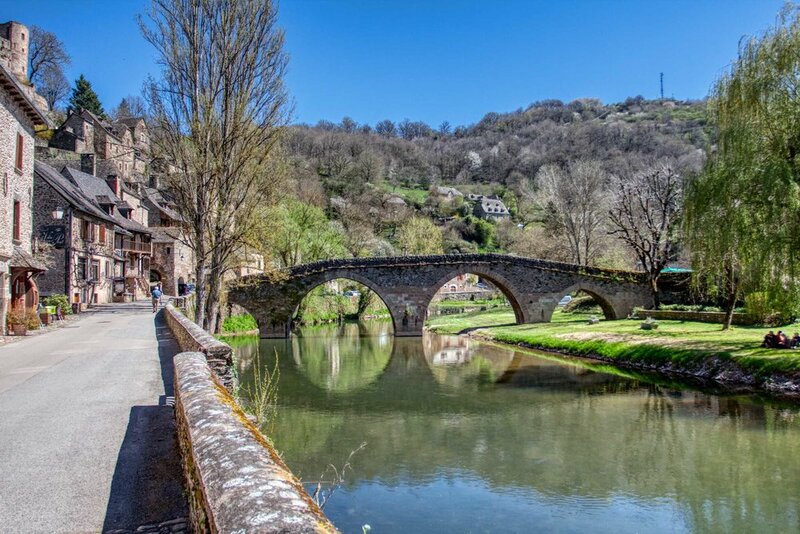 Conques is on the pilgrimage route to Santiago. 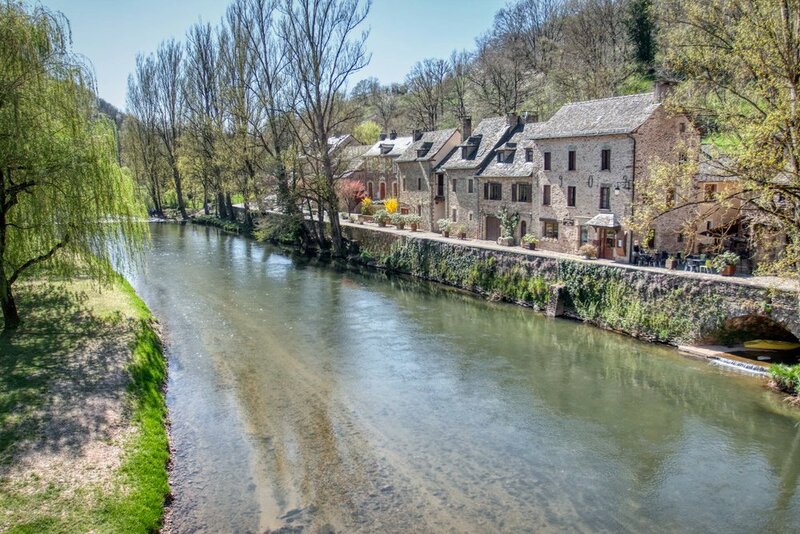 It is a beautiful village perched high above the river and is a great place to visit on a sunny day. The cathedral is stunning and there are some lovely walks in the area. Toulouse is the Midi-Pyrenees capital and a very cosmopolitan city. It is a must for shopaholics with plenty of designer shops to keep you happy, and there are dozens of great little pavement cafés to see and be seen in. However, it also makes a great place to visit for the children who can while away the time at attractions like the Cité de l’Espace or one of many good museums in the city centre. The Château de Merville with it's amazing Labyrinth is also a good family-orientated destination, just north of the city. Toulouse is only 70 minutes by car from us, and is an easy drive, mostly on dual carriageway and motorway. And if you want some time out from driving you can take the train direct from our small local station that's just 10 minutes away. By train you will enjoy a trip over the historic Viaur Viaduct and relax as the scenery passes you by. If the children enjoy seeing small animals (and some not so small) there are a couple of places you can visit. Jardin de bêtes is just outside Rodez and is a mini zoo where children get to see many animals at close quarters. Ideal for the younger children. There is also Pradinas - more of a small wildlife park and suitable for older children. Here they can feed a lamb with a bottle, but also see the bear and the wolves. Cap Découverte is an innovative leisure park, focused on adventure, and is a great day trip for all ages with friends or family. Created on the site of an open-cast mine, it is the only facility of its kind in France. Everyone gets a kick out of Cap’ Découverte! 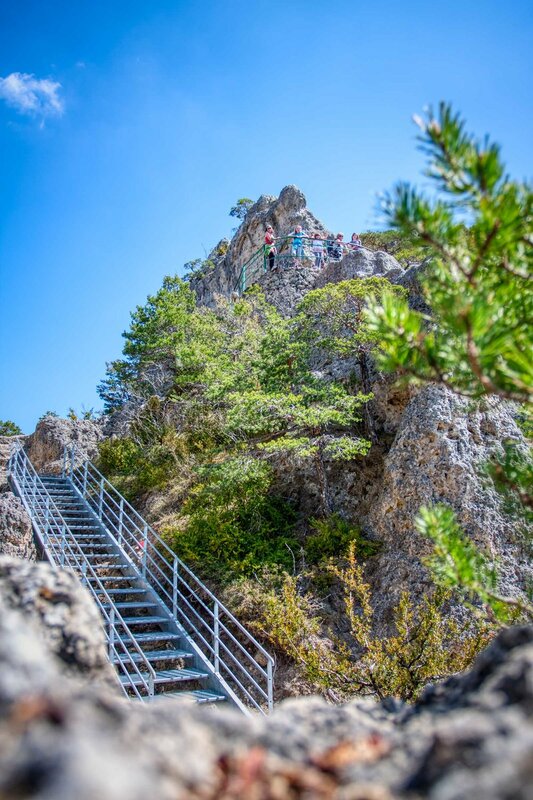 Whether you're thrill-seeking or keen to discover new forms of adventure, go and enjoy the many sports and leisure activities offered on this large site: Skatepark, Giant Zip Wire, Cable Waterskiing, Paintball, Luge, Dry Ski Slope, Swimming Pool and more! If you simply enjoy walking then you can stroll straight from the front door without having to set foot in the car. 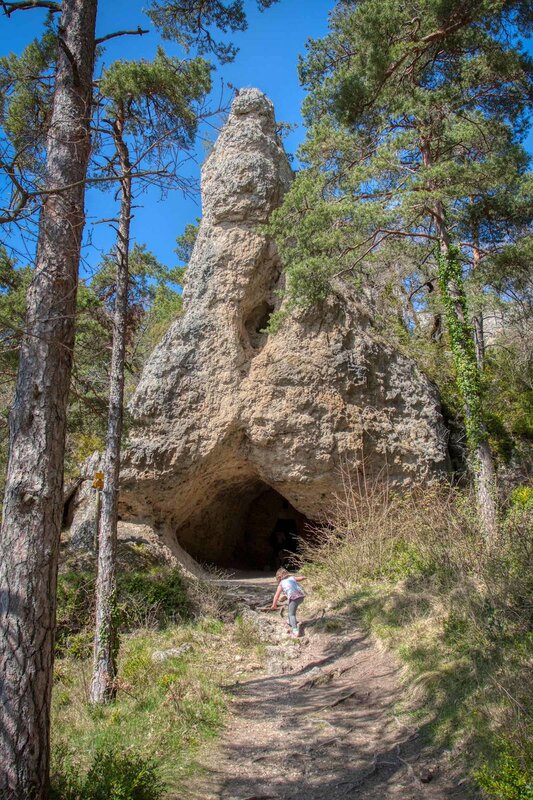 We have some very picturesque, and sometimes challenging, routes along the Viaur valley for you to explore. 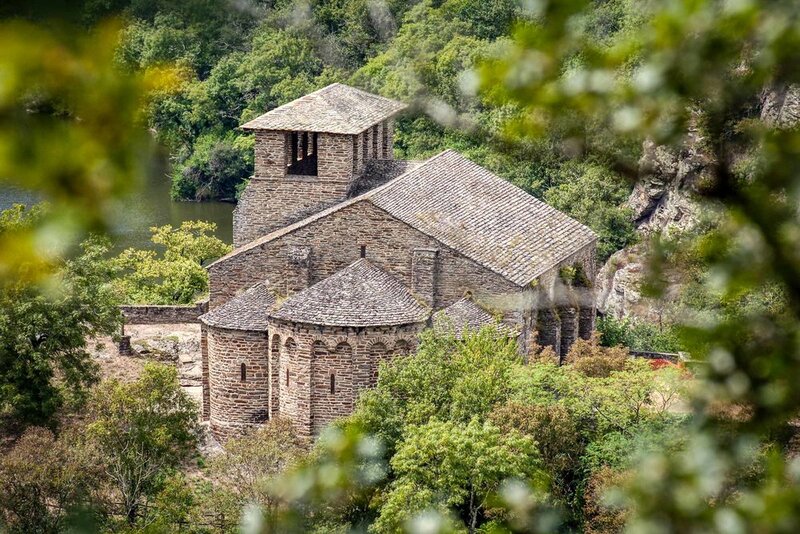 At the heart of many of these walks is the 11th Century chapel and village at Las Planques. The village was abandoned nearly a century ago, but in recent years the chapel has been lovingly restored to its former glory. Visitors are encouraged to obtain the key from the Tourist Office in Tanus to gain access to the chapel, but either way the settlement provides a very peaceful and atmospheric place of rest on a long walk. There are also walks that encompass the Viaur Viaducts.